Whether we like it or not, aging is part of our human reality. But growing older doesn’t mean that our favorite activities and places must become off-limits – and for this reason, it is incredibly important to make changes within your home that increase accessibility and keep your body safe. Take time now to think about the kinds of changes you might need to make in your household as you age, and be sure to talk to your loved ones about how you can keep your home safe and your health away from harm’s risk. As we age, our bones become more brittle and our muscles weaken – even if we do our best to exercise regularly and eat a proper, balanced diet. Of course, it is incredibly important to continue promoting proper well-being with healthy habits such as engaging in frequent low-impact activity and consuming nutrient-rich foods throughout our golden years. Even something as trivial as broken bone can lead to far more damage for a senior citizen than for a younger person. For example, the risk of infection is far higher, and the length of treatment and healing can be several times as long for the elderly as a result of the changes in their internal biological processes. As such, it is incredibly important that we don’t put our bodies to extreme tests, risking our bodily health to do simple everyday tasks such as reach our belongings, or move freely throughout our home. Home modifications need not be extreme: they just need to provide safety, preventing injury through organizational techniques and mobility aids. There is no reason that your everyday tasks should put you in harm’s way as a result of the process of aging. For that reason, engineering and design experts have been working together for decades on producing stylish, yet effective, machinery and products that promote health among senior citizens within the home. To begin the process of outfitting your home for your golden years, first meet with a physician who can run physical examination and let you know of your needs based upon your bone and bodily health, your medications, and the other systems you might need throughout the course of your day or week, such as IV drip treatment accessibility or a ventilator machine. Stairlifts make climbing stairs – a huge problem for those who have arthritis, joint issues, osteoporosis, or other ailments that commonly affect elderly individuals – a reality for many, allowing people to regain access to parts of their house once off-limits because of mobility issues. These stairlifts can be specially designed to fit with the design and decor of nearly any home – which is key, as there should not be any sacrifices that make your home feel like a hospital instead of your own cozy abode. 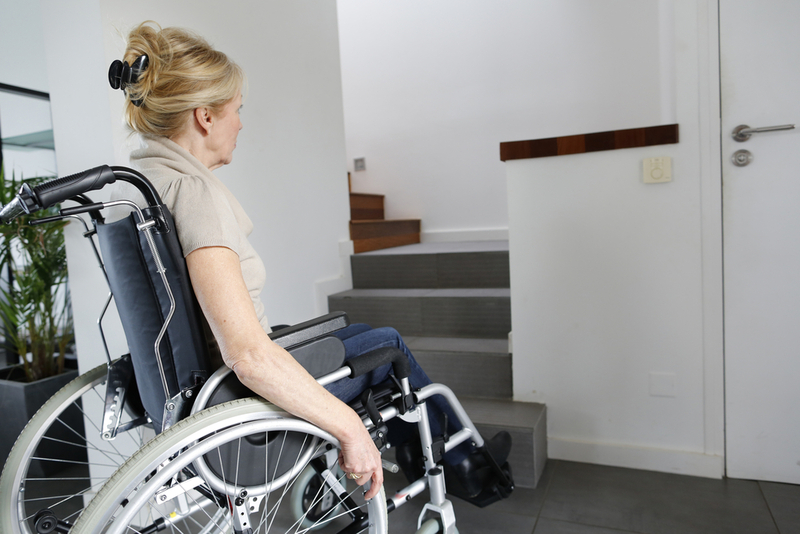 Though you may face some limitations on price, many companies that provide stairlifts are committed to helping you meet your desires for style without sacrificing function. By reviewing at a Stairlift Guide, you can learn what options might best fit your needs according to your doctor’s recommendations and your own understanding of your physical needs. Many other adjustments can be made within the home to support health as we age – for example, a reclining bed can help to support the spine and delicate muscular tissue that becomes increasingly fragile with age. Sleep and rest should rejuvenate and refresh the body, not cause the mind stress about how to successfully get in and out of bed without falling, tearing muscles, or damaging the spinal cord. Over the course of a lifetime, the vertebrae that make up the spinal cord can become damaged through daily wear and tear, and this can lead to incredible amounts of pain if bodily alignment is not achieved through sleep. With an easily adjustable reclining bed that moves with just the simple touch of a button, you can ensure that your skeleton and musculature will remain aligned and supported throughout a full night of rest. Such beds are available with discounts for many senior citizens through insurance or other medical assistance programs, and they help to prevent up the fluid buildup within the body known as edema, while promoting sound emotional health and mental agility by eliminating sleep disturbances. CPR & Comfort Care: Which is Best for Your Elderly Loved One?